How to find a reliable and experienced dedicated iOS developer? How to build a remote iOS development team for your project? If you’re asking these and similar questions, you’ve found exactly what you’re looking for. Below we will provide the exact steps you need to take to find and hire a reliable iOS programmer without any risk who will bring your project idea to life. Enjoy! Hiring an iOS programmer shouldn’t seem to be a difficult task. After all, if you Google “hire iOS developer”, there are millions of search results. Millions of companies, millions of programmers. So why should it be difficult then? That’s quite a paradox, isn’t it? The truth is that sometimes the more choices you have the more difficult it is to make a choice. That’s often the case with finding iOS programmers, and dedicated iOS developer, in particular. We will explain in detail what qualities and credentials your ideal developers should have and how to find them. But first, let’s talk about the options you have when you just begin your search. Hire Dedicated iOS Developers – Local or Remote Ones? You can either work with a local app development company or a remote one. This is the choice you’ll have to make even if you’re going to hire dedicated programmers. If you are based in the United States, UK, Canada, Australia, Germany, France, or some other country with high salaries, then working with local coders may prove to be quite expensive. This is even more so with a dedicated team. If you’re going to hire in-house developers then you will have to incur additional costs: office, employee benefits, equipment, etc. Therefore, unless your goal is to skyrocket development costs, working with local programmers may not be the right option for you. Remote coders are the only alternative. However, some clients may be concerned about safety, quality and certain legal aspects of iOS development outsourcing. If you find the right people, there is nothing to worry about. Everything depends on who you work with. Thus, the question becomes how to find the right remote developer, not if. Which iOS App Development Outsourcing Model to Choose? Once you’ve set your mind on working with remote programmers, the next question concerns the outsourcing model. On the one hand, you can delegate all the work including management to an outsourcing company. Your only task is to provide detailed requirements and specifications. The other option is to hire a dedicated team. The former model tends to be more expensive as there is more work involved on the outsourcing company’s side. Usually, they have to assign a project manager and other stakeholders who will manage and control the development process. What about a dedicated team? What is it and how is it better? That’s what we will explain next. The term “dedicated development team” implies just that – 100% dedication to the end client and complete control from your side. 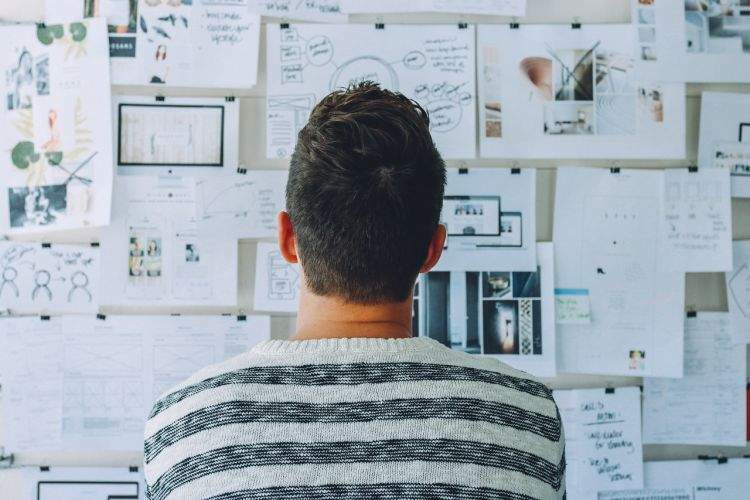 With simple outsourcing, developers may not be working on your project only, and you don’t have the same degree of control as with dedicated teams. Dedicated teams have another term – outstaffing. This model implies that the development company serves as the official employer of your programmers. It provides comfortable working conditions, office space, salary, insurance, and other benefits. It carries a complete legal responsibility for them. You sign an agreement with the company itself, not the programmers. At the same time, you are the one who manages people. You have direct access to them on a daily basis. You tell them what to do and retain complete control over the working process. Basically, it’s almost identical to hiring in-house programmers except you don’t have to be their official employer, pay for rent and so forth. Such a model of cooperation usually provides clients with significant cost savings among many other benefits. Therefore, if you wish to find talented iOS programmers, hiring a dedicated mobile application development team is likely to be the best option. Now that you know why outstaffing and dedicated teams are a great idea, let’s talk about the CV of an ideal iOS programmer. This is just a general description. The exact description for your project will depend on the requirements, tech stack and developers’ roles and levels. In a development team, not all programmers are equal. In most projects, there are three levels: junior, middle and senior. Let’s analyze each of them in detail. The first level is junior. He or she is just a beginner who handles smaller tasks under senior developers’ supervision. His or her main goal is learning as much as possible and growing to become a middle developer. Senior colleagues provide constant feedback on his or her code errors and the junior dev should learn from them. For this reason, it’s better to delegate simple tasks to juniors. An ideal junior should have at least two years of experience. This should include at least some minimal experience with the required tech stack. He or she should have a Bachelor’s degree or higher in Computer Science. Experience working in an Agile environment is a must. Finally, the key quality is to be an effective self-learner. Once a junior developer has sufficient knowledge and years of experience he or she proceeds to become a middle developer. An ideal Middle iOS developer should have at least five years of experience. Proficiency in Objective-C, Swift, OOP, OOD, major iOS frameworks and libraries, basic knowledge of C++ and Java, experience with Agile and Scrum, and free command of English are a must. 10 years of experience is a minimum requirement for an ideal senior iOS developer. Take all the requirements for junior and middle developers and add to that understanding of app architecture, Git and git-flow, unit testing, code review, management and communication skills, leadership, emotional intelligence and stability, mentoring, and a vast portfolio of published iOS apps. Team Lead. This individual does just that – leads and manages programmers. He does coding as well but his main responsibility is managing the development process, doing code reviews, assigning tasks, mentoring, and communicating with other key stakeholders. QA Lead. A quality assurance lead is responsible for establishing and managing testing processes and usually supervises testers as well. Analyst. This role implies an analysis of the budget and how it fits product requirements, creating and managing documentation, acting as a “translator” between the product owner and other stakeholders. Scrum Master. This role is very common in Agile projects. He or she may substitute a project manager. A scrum master supervises the development process, assigns tasks and reports to a project manager. Project Manager. This individual manages and supervises project workflow, acts as an intermediary between the programmers and other stakeholders. Lead Designer. 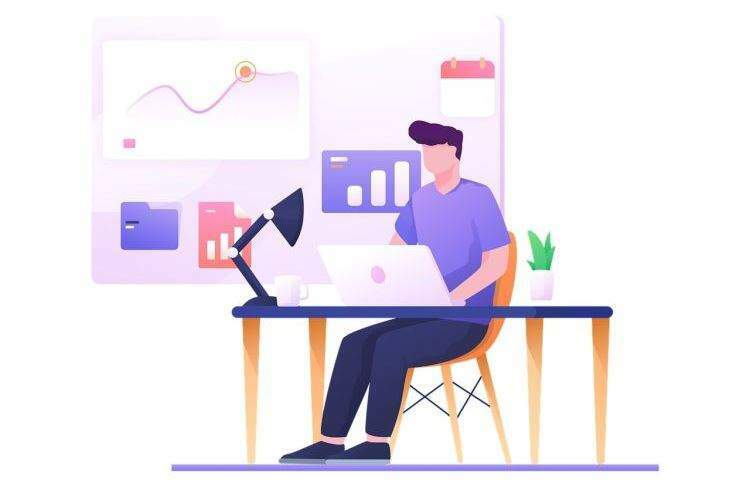 A lead designer manages and controls the design process, supervises app designers and is generally responsible for the front-end part of an application. Having analyzed the roles and levels in a development team as well as job requirements, let’s finally talk about how to find a world-class dedicated iOS app development team. Let’s break them down in detail. Obviously, you can only hire a dedicated team from a company which provides such a service. 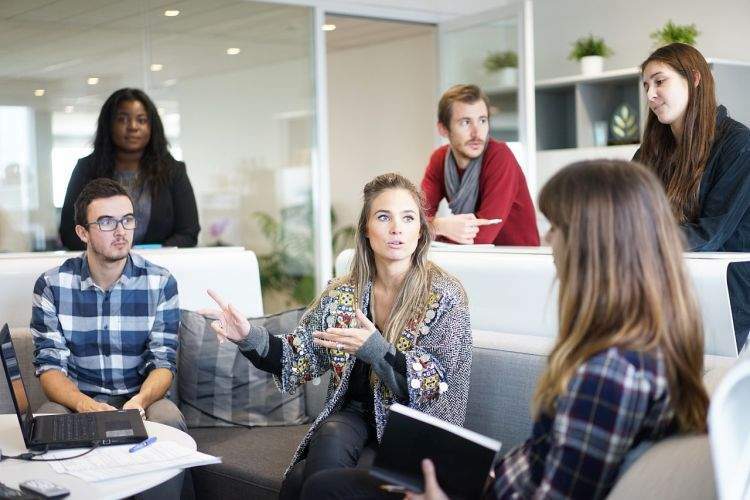 While it’s true that some outsourcing companies provide this option as well it’s better to work only with IT outstaffing companies such as CyberCraft because dedicated teams are their main specialization. They tend to provide the best possible terms and pricing. We assume you have already defined the required tech stack for your project. If not, then make sure you do. The experience and expertise of the firm you are considering must match the required tech stack. If your stack includes Alamofire library, for example, but the team has no experience with it, then hiring them may not be a good idea. It’s a good idea to ask the outstaffing company to provide detailed profiles of your future team members. Carefully read them through, pay attention to the smallest details. Ensure that every developer’s profile matches your requirements. It’s never a bad idea to do a careful legal check of the company you are considering cooperation with. Try to get as much legal information about it as you can: date of registration, who the founders and key stakeholders are. Even more importantly, see if there have ever been any court cases or related criminal records. If a company already has well-known and established clients from developed countries it’s a good sign. It’s also a good idea to check the company’s testimonials to see if they are valid and to talk to their past and current clients to hear honest feedback about the company. Finally, you want to ensure that the proposed payment terms are transparent and fair without any hidden fees. There are many different payment models. The best one is a flat transparent monthly fee for every team member. Finding and hiring great dedicated iOS developers does not have to be a complicated task if you do it the right way. Today we have provided you with the exact tips you need to know to successfully accomplish this goal. 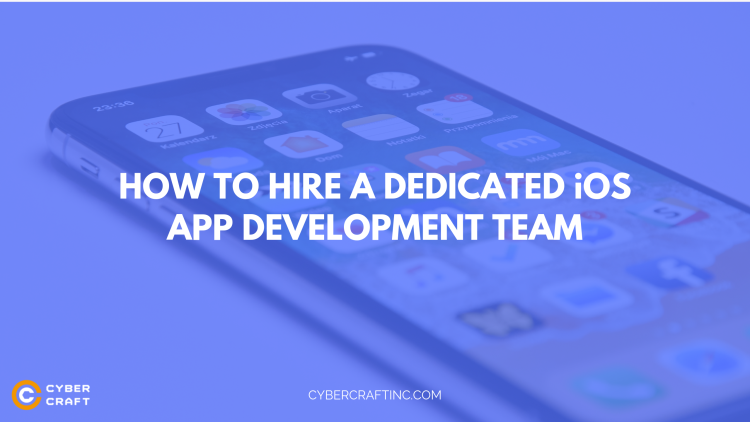 We explained in detail why dedicated teams are the best option for building iOS apps and listed the key requirements for your future developers. Remember, finding the right dedicated team for your iOS project is what will ultimately make it successful.